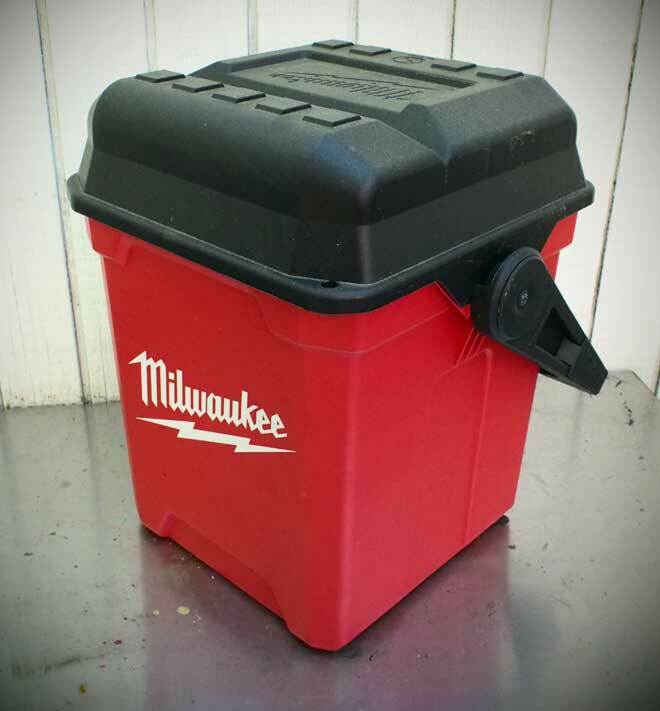 Milwaukee Tools are rugged, but precious (to owners). You don’t want them unnecessarily exposed to the elements or getting misplaced. You also need a light and durable tool box to transport them from job to job or to store them at your shop or home. 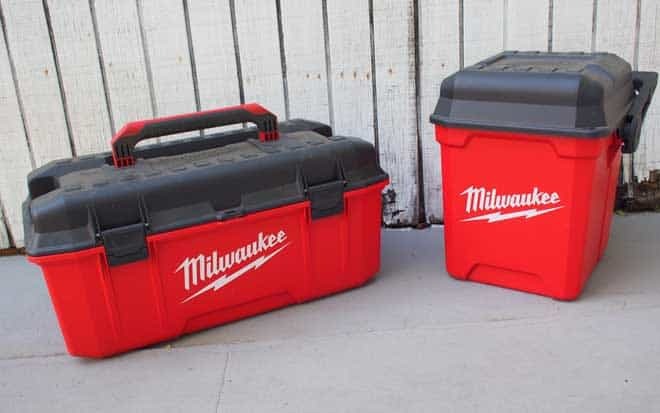 The 26″ Milwaukee Jobsite Work Box and the 13″ Milwaukee Jobsite Work Box are ideal companions for you and your tools. The 26″ work box includes a removable tray for easy to reach items and features impact resistant materials, buttressed hinges, protected recessed latches, and reinforced corners. It’s built to Survive Over 1000 Drops with a 50lb load. An integrated weather seal ensures the contents of the box stay dry and free of jobsite contamination and debris. Convenient pass through side grips allow for easy lifting and handling of the work box, even at awkward angles. The overmolded wide grip handle makes carrying unbalanced loads a much easier task and also folds into a clamping cut groove to allow secure cutting of jobsite materials. 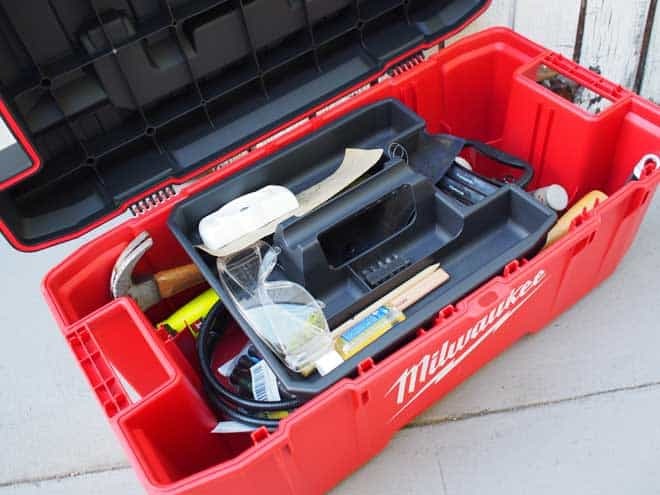 The interior of the 26” work box provides ample space for long and bulky tools, while incorporating corner pocket storage to give users more organization and easy access to their commonly used tools. Integrated screw bosses, built into the lid, provide users the opportunity to mount items, such as chargers, with a common screw. The 13″ work box has many of the same features and is built to survive over 1000 drops with a 25lb load. 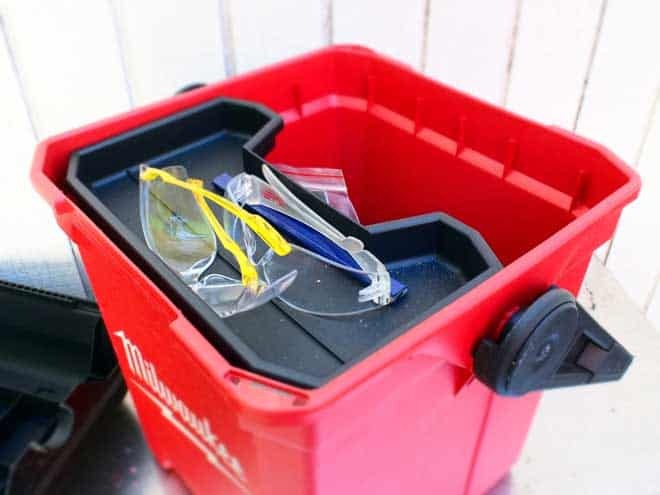 An integrated drip ledge lid ensures that the contents of the box stay dry and free of jobsite contamination and debris, while the convenient wide grip locking handle allows for ergonomic lifting and easy transport. 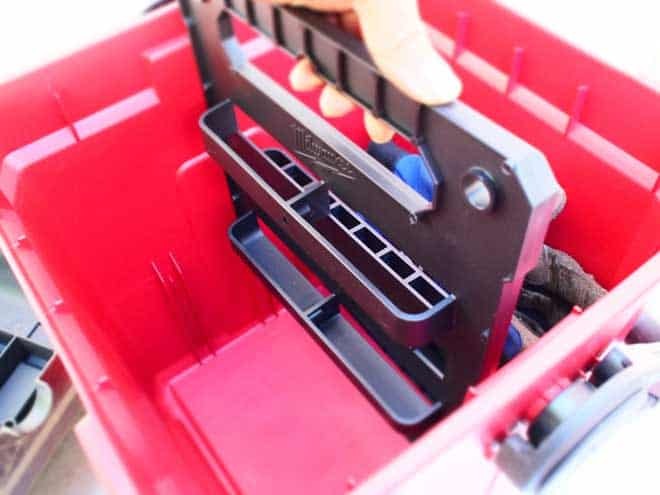 The 16” Seat Height of this jobsite work box is designed to give users ultimate versatility when working on tasks that are close to ground level, such as wiring an outlet. 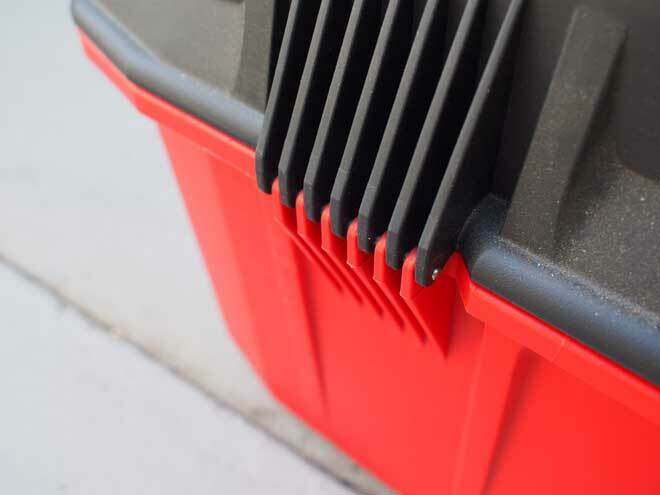 The addition of the integrated Cut Groove, gives users a stable platform to cut jobsite materials such as PVC and EMT. 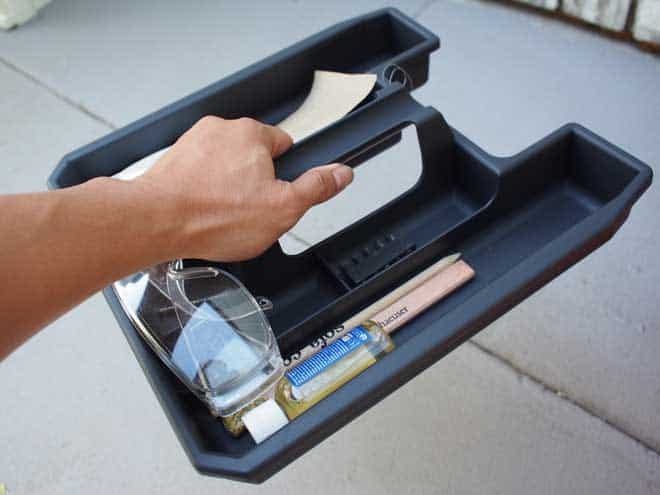 The interior of the 13” work box contains a box divider and a removable vertical tool storage wall that allows easy access to tools and can be easily mounted to jobsite materials for convenient on-task tool storage. Both boxes include a limited lifetime warranty and it’s unlikely you’ll come close to pushing these boxes to their limits, but if you do, they are built for whatever you can throw at them.